I write on behalf of the Middle East Studies Association (MESA) of North America and its Committee on Academic Freedom regarding troubling incidents at Kilis 7 Aralık University (K7AU). Beginning with the contested re-election of the university rector, Dr. Ismail Güvenç, and his administration on August 14, 2012, a number of incidents at K7AU have targeted individual members of the faculty in apparent reprisal for suspicions that they did not support the rector’s re-election. These practices are in violation of core tenets of academic freedom and the result has been an atmosphere on campus that negatively impacts teaching, academic research and scholarly production. Despite efforts by faculty members at the university to seek redress through the Higher Education Council (YÖK), your office and the office of the presidency, no measures have been taken to date to rectify the situation at K7AU. We write to you now to ask that your government intercede to re-establish norms of academic freedom at the university. the conduct of the K7AU administration immediately following the election in which an investigation was undertaken to identify members of the faculty who had voted against the re-elected administration. the apparent punitive reassignment of faculty from the School of Education to other departments unrelated to their expertise. a pattern of disciplinary actions taken against members of the faculty apparently because they were identified as having voted against the administration’s re-election. the harassment of Dr. Ismail Arslantaş of the School of Education, which has included the confiscation of his laptop computer, depriving him of electronic files related to his research and writing, and the subsequent changing of the lock to his office, thereby preventing him from accessing his own books and files. the threats against faculty members of the School of Education who have been told that their contracts will not be renewed and have been subjected to various arbitrary actions such as loss of internet and parking privileges. 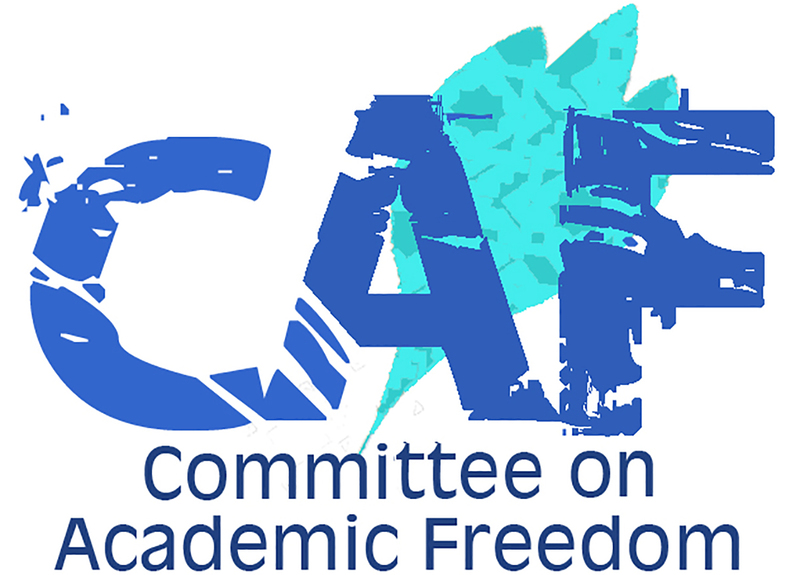 These concerns, taken singly or together, represent serious indications that basic norms of academic freedom have been violated. The faculty members from the K7AU School of Education who have been targeted have sent complaints to YÖK, the office of the prime minister or the office of the presidency, but their complaints have not triggered the investigations ordinarily undertaken in such circumstances. We have written to you previously about government-appointed administrators who violate academic freedom and basic rights such as freedom of thought, expression, and association. Taken together with the previous cases we have brought to your attention, the incidents at K7AU add to a record suggesting that the Turkish government contributes to or passively tolerates serious violations of academic freedom. As a member state of the Council of Europe and a signatory of the European Convention for the Protection of Human Rights and Fundamental Freedoms, Turkey is required to protect freedom of thought, expression and assembly. Further, Turkey is also a signatory to the Universal Declaration of Human Rights, the International Covenant on Civil and Political Rights, and the Final Act of the Conference on Security and Cooperation in Europe (OSCE), all of which protect the rights to freedom of expression and association, which are at the heart of academic freedom. These rights are also enshrined in articles 25-27 of the Turkish Constitution. We urge your government to take all necessary steps to ensure that these rights are protected and that arbitrary and unfair reprisal actions by university administrations against faculty members deemed to be political opponents not be tolerated. We request that an investigation of Dr. Güvenç and his administration’s actions targeting faculty at K7AU be undertaken by the appropriate authorities. Finally, we respectfully request that government officials refrain from supporting actions inimical to academic freedom on Turkish public university campuses regardless of family connections to the AKP or governing officials. I am very sorry to hear that you submitted a letter to Higher Education Institution, Prime Ministry, President of Turkey, etc. containing some baseless and misleading information about our University administration on 8 May 2013. K7AU is governed by laws of the Republic of Turkey. Our University adopted democratic values and highly respects and guarantees academic and individual freedoms. I and my management team support and protect academic freedom and related activities since the time University was founded. As the University management, we are very disappointed with your letter including misleading information and insulting language. I wonder that why you did not investigate the claims before writing the letter. I want to say that all claims are not true. We kindly invite you to investigate the truth of these claims and then write again a correction to the same people.